Wanna watch DVD movies on your iPod, PSP, or mobile phone? 4Media DVD to MP4 Converter is the right solution. It can convert DVD movies to MPEG-4 videos. The DVD to MPEG-4 converting software provides the fast and easiest way, you just need a few clicks to finish the job. Let's see how to convert DVD to MPEG-4 videos using 4Media DVD to MP4 Converter. Free download 4Media DVD to MP4 Converter. Then, let's start. Launch the DVD to MPEG-4 converter, insert the DVD disk into your DVD-ROM, and click the "Add" button to load DVD disc. Also, the converter allows you to add DVD folder and ISO file as source files. 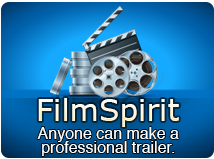 Click to expand "Profile" drop-down list and scroll to select the "MP4 - MPEG-4 Video(*.mp4) format. To make the video fit you more, you can change the default DVD audio, subtitle, and angle for output format. 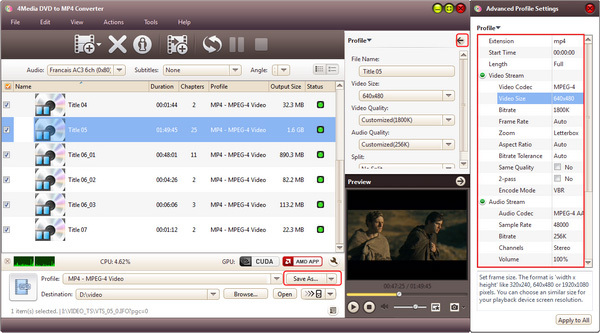 Furthermore, set output video size, video quality, and channels in right profile setting panel. After all settings, you just need to click the green "Convert" button to start the DVD to MPEG-4 converting. After a few minutes, you will see the conversion has been finished. After then, you can just click the "Open" button to check the target MPEG-4 file conveniently. Free download 4Media DVD to MP4 Converter to have a try.